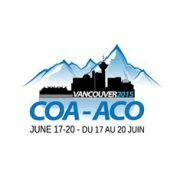 The COA Annual Meeting is the Association’s premiere event offering educational and networking opportunities in one of Canada’s finest cities. Both the Canadian Orthopaedic Research Society (CORS) and the Canadian Orthopaedic Residents’ Association (CORA) hold their respective Annual Meetings each year in conjunction with the COA event. Triple your opportunities to share best practices and learn from experts and thought leaders in all areas of orthopaedics. Registration is now open for the COA, ICORS and CORA 2019 Annual Meeting being held in Montréal from June 19-22. Take advantage of the pre-registration benefit or rates and register before May 3. This year’s event brings together innovators, investigators and leaders in orthopaedic research from around the world. For the very first time, the International Combined Orthopaedic Research Societies (ICORS) meeting comes to Canada in collaboration with the COA and CORS. 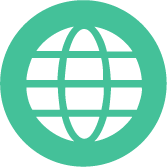 We look forward to offering a diverse program that features the very best in orthopaedic research and innovation, and to welcoming colleagues from around the world. The ICORS program includes workshops led by each ICORS member society, international keynote speakers, and sessions showcasing the best in Canadian orthopaedic research and award-winning studies. Symposia and ICLs will discuss physician wellness, diversity in orthopaedics, surgeon under-performance and competence, models of care and global surgery involvement. More paper presentations, more posters, more specialty sessions! Early bird rates in effect until May 3. Make regular visits to http://2019icors.org/ for complete information about our upcoming COA Annual Meeting being held in conjunction with the Meeting of the International Combined Orthopaedic Research Societies (ICORS) from June 19-22 in Montréal, QC. Find out where the COA Annual Meeting will be next? 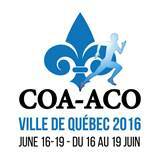 General information, announcements and archives about COA Annual Meetings. Learn more about the 2017 COA, CORS & CORA Annual Meeting held June 15-18 in Ottawa by clicking on the links below. We would like to thank all members who attended the Annual Meeting in Québec City from June 16-19. You may access the Abstracts Supplement by clicking here. We would like to thank all members who attended the Annual Meeting in Vancouver from June 17-20. You may access the Abstracts Supplement by clicking here.